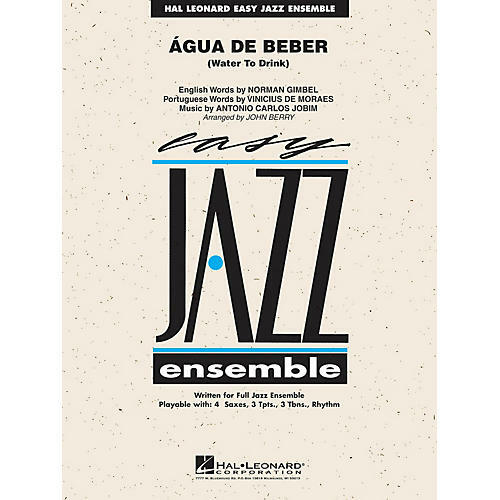 Classy Latin sounds abound in this moderately paced chart that showcases the melodic and harmonic genius of Antonio Carlos Jobim. Opening with a rhythm section vamp, the trumpets take the first chorus, then provide a creative counterline as the saxes take over. Scored to sound full with young players, this chart will sound great with few rehearsals. Short written (or ad lib.) solos are featured for alto and trumpet. Enjoy great flexibility with the Easy Jazz Ensemble series! Playable with 4 saxes, 3 trumpets, 3 trombones and rhythm.